1. She was forced to sell her jewellery. 2. Were you forced by somebody? yǒu rén qiáng pò nǐ ma ? 3. She couldn’t wait to leave. Hi Min Min. 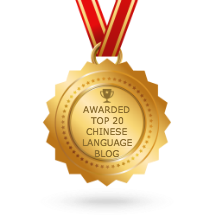 I just found your website because I was searching the internet for information about Chinese sentence patterns. I like the site very much, and I hope I can learn a lot from you. Thank you for a great source of information! You can use the “迫不及待” idiom correctly. That means you have quite solid foundation in Chinese. Hope my site can help you improve you Chinese. Hello Min Min. I must admit, that I do not feel to have a good foundation. I did not (yet) learn so much, besides counting and writing strokes for any character that I see, how to look it up in any dictionary and how to use a Pīnyīn or Zhùyīn input method on my computer or smartphone. I am not really fast… About 10 years ago I only went through 3-5 chapters of several Chinese language books and read a lot of information online. But I found most of these books boring, that’s why I tried so many different books. And then I found it more interesting to talk with my Chinese friends instead of studying – so we used English because it was more convenient for both sides. Now, after a 10 years long break, I want to try it again from the beginning. By the way, I learned the application of the “迫不及待” idiom from YOU. And I guess that’s the way how learning is more fun for me – by trying to understand and finding patterns in it that can be reused to express something else or to understand more similar expressions in the future – but of course everyone has individual preferences. I appreciate your feedback. It is really helpful to know that I already applied the idiom in a correct way. I believe this way I learn already many words and expressions on the fly, without studying boring vocabulary lists or reading standard lesson texts. Maybe it is not the fastest method, but still more interesting and fun compared to most text book methods that I know so far. Thank you again. And have a good Sunday! Thanks for your long comments.